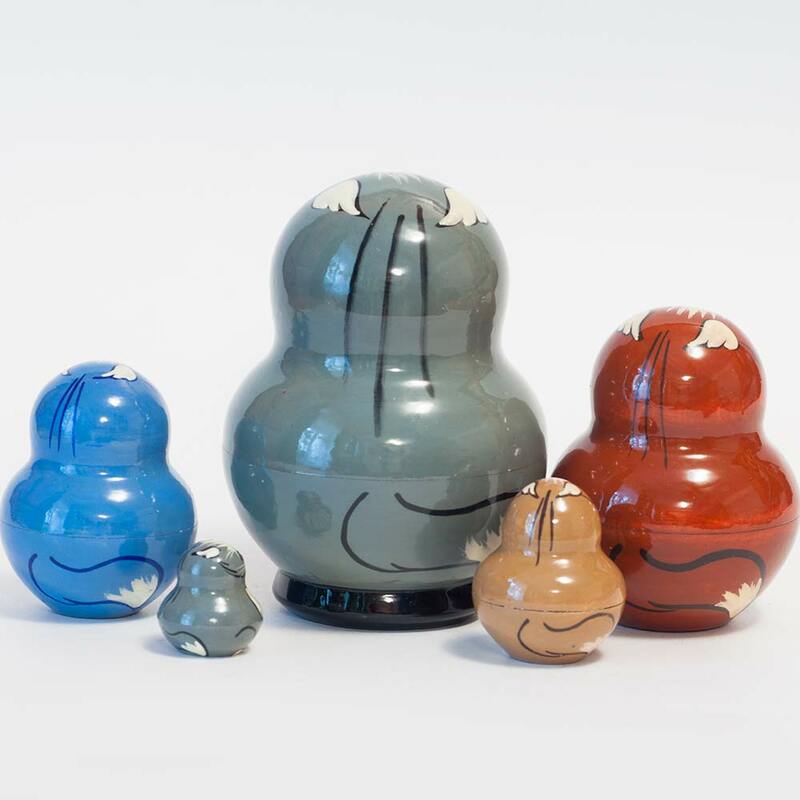 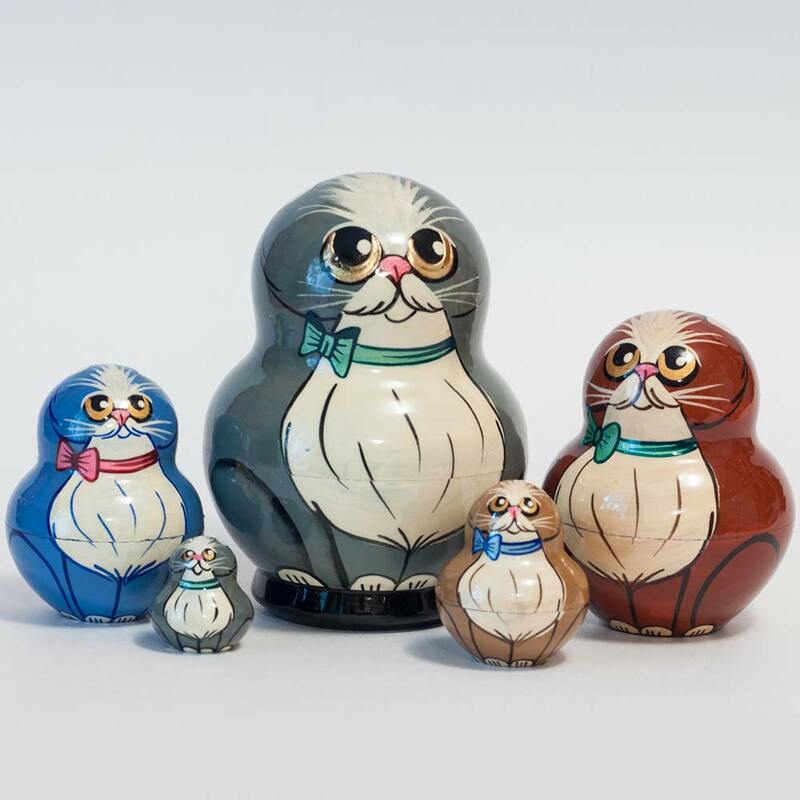 Matryoshka Doll Gray Cat is a set of nesting dolls with cat family. 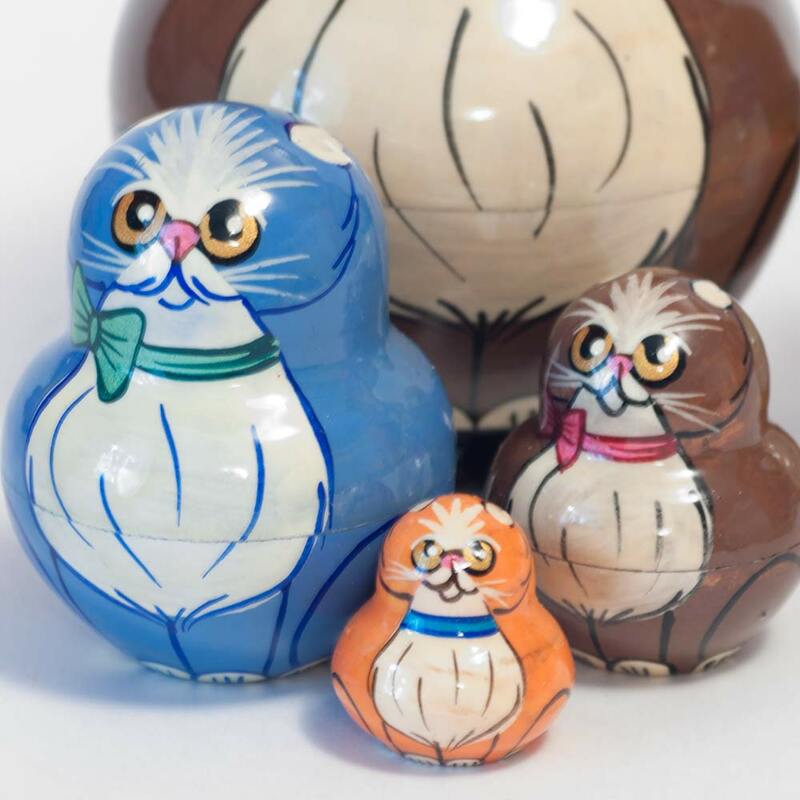 Each cat is painted in different colors. 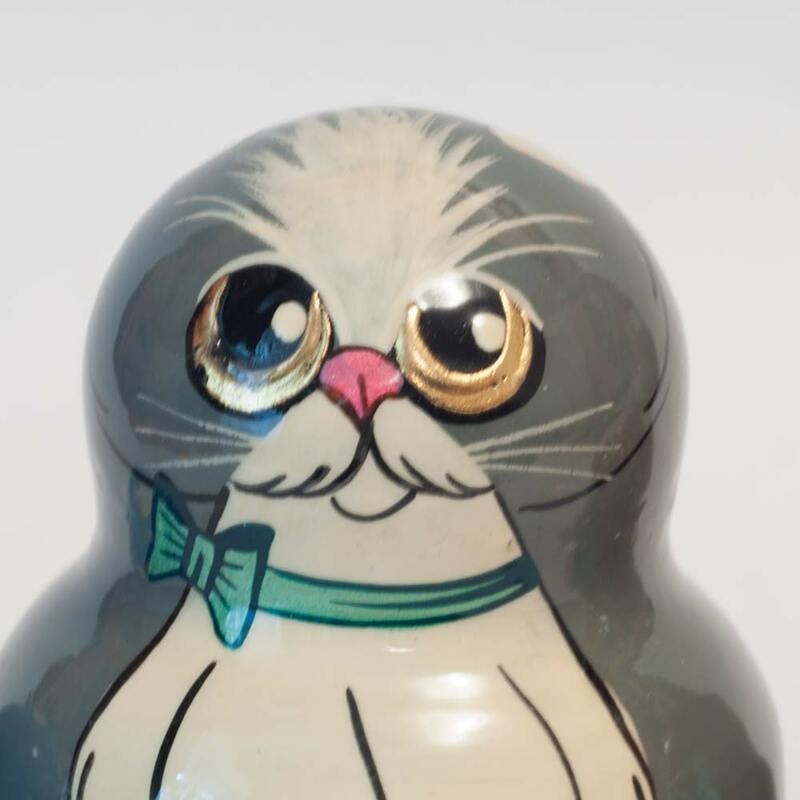 Cats' eyes are made with special glossy foil and it makes magnetically vivid.